Any Kemetic will tell you that one of the most important tenets of any Kemetic religion is Ma’at. Truth, balance, justice. I would agree. But what *is* Ma’at, outside of it’s definition? 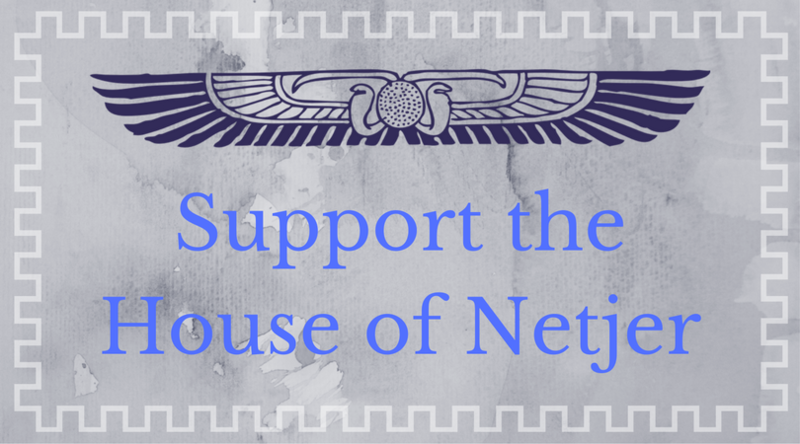 What can we do, and how does Ma’at apply to Kemetic worship? 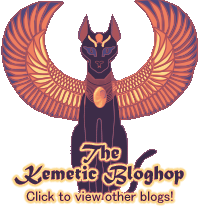 A basic definition of what Ma’at is could be said to be “instant karma”. Ma’at is the force in the universe that returns our actions. We are responsible for what we put into the world. If we are kind and thoughtful, and generally try to work for the benefit of ourselves and our fellow human beings, Ma’at returns kind, thoughtful, beneficial things to us. If we are cruel and thoughtless, and generally self-serving and inconsiderate of our fellow human beings, or even deliberately wicked, Ma’at returns cruelty and wickedness to us. The difference between Ma’at and regular karma is that we don’t carry our debts after we die. We reap what we sow in *this* life, in the here and now. It is helpful to think of Ma’at as an old-fashioned scale – you put an action on one scale and immediately the scale moves. Your action is weighed, and your return measured out similarly. I like to think of Ma’at as music. Ma’at is a single tone, continuously humming in the universe. Our actions may be harmonious with Ma’at, and create beautiful chords and melodies, weaving in perfect harmony with the single tone of Ma’at – or, our actions could be discordant and harsh, creating something that one would be reluctant to call music at all. I mean no offense to atonal composers and musicians like John Cage. I recognize that a lot of music is highly discordant, so think of a dog chewing on a guitar neck, for example. I mean that kind of sound. It can be an extended metaphor as well. A single action can build a chord, or horrific noise. Where we go from that first beautiful chord can create a song, or it can create something with little melody and rhythm at all. Single actions don’t mean everything – a life lived in harmony with Her song is better than a single, glorious chord. Some people like to say that ones actions should always be “in Ma’at” – meaning that one should always act appropriately, and try to act in the most beneficial way for everyone. However, some say that you can’t truly act “in Ma’at” – Ma’at is the only one Who can do that, when She acts to create the balance of action and reaction. I like to say we act in harmony with Ma’at, in keeping with my “Ma’at as music” metaphor. We give Her good things, to continue the cycle of goodness in the universe. There is already isfet in the universe – a force that is not the opposite of Ma’at, per se, but a detriment to Her work, something that attempts to throw Her off balance by being so aberrantly evil that She cannot swing back into balance. She inevitably always re-balances, of course, and isfet is always overcome, with the help of the Netjeru, of course, but our lives can be touched by isfet, and that is never a pleasant experience. The natural solution is to continue to harmonize with Ma’at, so that we can bring the goodness of the universe back into our lives. Being in harmony with Ma’at, when you know you could have acted otherwise, is an impressive feeling. Recently, I’ve been encountering these situations more and more, and every time I harmonize with Ma’at, instead of yelling harshly (metaphorically speaking), I find myself more calm and more peaceful. I find myself feeling much like I am standing in the middle of a rushing current, perfectly still, untouched by its pull. I know that Ma’at will take care of someone who has wronged me. That’s not to say that I am a doormat, but that the lady who cuts me in line at the supermarket, or the guy who cuts me off in traffic, or the person who makes a hurtful criticism of the things I enjoy — well, they’re just not my problem. It’s not my job to judge them or to try to “get back at” them – they’ll see Ma’at in their own lives, in Her own time. Learning to let harmony with Ma’at into my life, praying to Her and praising Her, and working *with* Her against isfet, is the best thing I have done for myself. You don’t even have to be Kemetic to work with Ma’at. Just believe that there is a reaction for every action in the universe, live your life like this is true, and all will be well. Previous Post To Follow God. An aspect of Maat that comes out of the ancient texts is that it can also be equated with the natural order of the universe. The Goddess Maat is said to have calculated the measure and set the order for everything in Creation. Thus, it is not necessarily simply, or even principally, those concepts of truth, justice and beauty which we may ascribe to; keeping the principle of Maat before us requires us to see and honor the natural order of things as an expression of the will of the Gods. In days when humans consider themselves exceptions to every rule, it is both comforting and humbling that we are also part of Ma’at. i am just learning about K.O and i enjoy reading your posts!